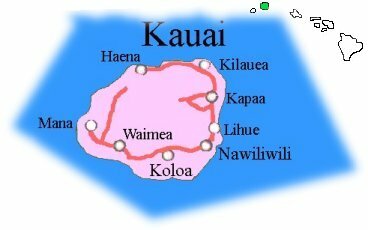 WorldTourist.com Kauai, Hawaii USA | About | Contact Us | Destinations | Lodging | Maps | Recreation | load Thumbnail Pic's | Tours & Travel | User Tips | Warnings! | Weddings --Your "State Tourism Ad" Here! 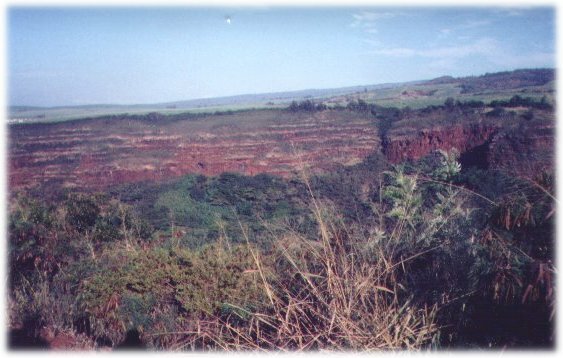 Mark Twain called Waimea Canyon, a 3600 foot gorge, "the Grand Canyon of the Pacific". Mt. Waialeale receives nearly 500 inches of rainfall a year and is possibly the wettest place on earth!